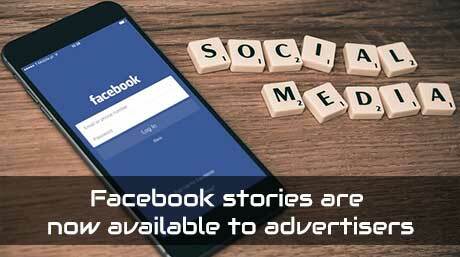 Facebook latest feature called Facebook stories for pages, 30 million people uses Facebook everyday and this feature called "Facebook stories" is going to be a awesome feature for Facebook user, now the company is planning to show ads through this feature. Here is a famous words from Mark Zuckerberg founder of Facebook he says "We expect stories are on track to overtake posts in feeds as the most common way people share across all social apps". This is all about Facebook stories. So that's what we're going to talk about in this week's one minute moment. Are you new to Facebook stories? Share from Instagram to your Facebook business profile, swipe right click on the cog icon at the top and just scroll down to the bottom, if you're on iPhone you will have this option to share your story to Facebook and make sure that switched on. Once that switched on it should start sending your Instagram story to Facebook. it's the easiest way but there's a downside. Those interactive elements like polls, like comments they just don't work on Facebook. Share from your Facebook camera from your Facebook app. Swipe right and you're in the Facebook camera, shoot a picture or a video. Instead of clicking your story at the bottom click on 'next' and now you can see you've got the option next to your name to click 'Change' and all the pages you manage will appear here, scroll down until you find the correct one, select it and now you've got the option to post it to your pages story, or post as your page. This is great but if you manage a lot of pages you have to do a whole lot of scrolling and sometimes your page won't appear there at all. share from your Facebook page using your personal Facebook account. Not the pages manager. Got to your Facebook account scroll down until just below the information, you'll see the option to click 'Add to story' and you would just click 'next' again, exactly the same process. Most of the time that's going to work but if it doesn't you'll find that you create the post and it just hangs. It takes up the full screen and never goes away. If you manage your page from business manager you'll need to log into business manager and go to the business settings menu. Click on the business info tab at the top, now click 'Edit' and next to 'pages and notifications' - 'let people in your business choose whether to keep personal and business activities on Facebook together or separate'. That should be switched on. 'Pages and notifications' 'Use personal account to manage business activities' make sure that switched on. So this is the Simplest Way to Make Facebook Stories for Pages just follow above steps and you can create stories in Facebook easily. Facebook has also said that Facebook stories are now available to advertisers from around the world. If they want, they can put their product ads in Facebook stories. In this way, Facebook will benefit but your problems will increase. There is also an update to facilitate Facebook stories, after which you will also have the option of adding music. Explain that in Facebook stories, you share photos, videos and GIF files, which appear at the top of the timeline. Facebook story disappear automatically in 24 hours. I hope that you like this article related to "how to post a stories on Facebook page", which can be useful to you, we are coming up with more interesting topics like this, so keep looking and have a good day for next time.